A fascinating cultural history of New York City's Bowery, from the author of The Flatiron. The Bowery was a synonym for despair throughout most of the 20th century. The very name evoked visuals of drunken bums passed out on the sidewalk, and New Yorkers nicknamed it "Satan's Highway," "The Mile of Hell," and "The Street of Forgotten Men." For years the little businesses along the Bowery-stationers, dry goods sellers, jewelers, hatters-periodically asked the city to change the street's name. To have a Bowery address, they claimed, was hurting them; people did not want to venture there. 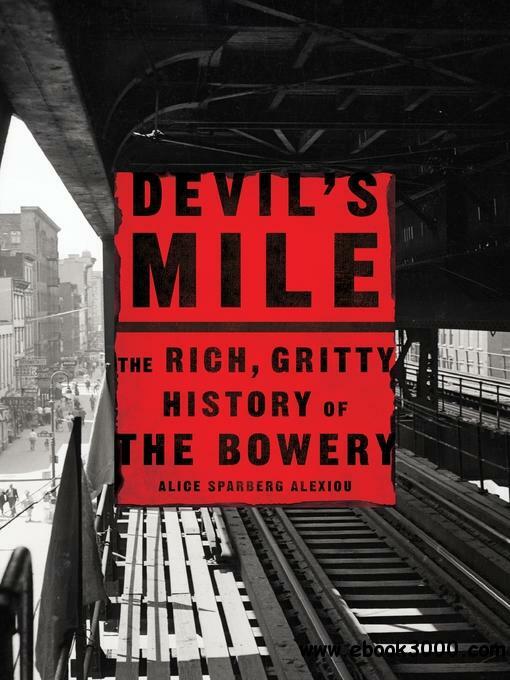 In Devil's Mile, Alice Sparberg Alexiou tells the story of The Bowery, starting with its origins, when forests covered the surrounding area, and through the pre-Civil War years, when country estates of wealthy New Yorkers lined this thoroughfare. She then describes The Bowery's deterioration in stunning detail, starting in the post-bellum years. She ends her historical exploration of this famed street in the present, bearing witness as the old Bowery buildings, and the memories associated with them, are disappearing.